In circulation since 1936, Opera News has been the leading advocate for opera in print in the United States for nearly eight decades. Under the auspices of the Metropolitan Opera Guild, the pages of Opera News have offered readers portraits of important artists, reviews of new recordings and performances in New York and throughout the world, and glimpses of the inner workings of one of the world’s great opera houses. 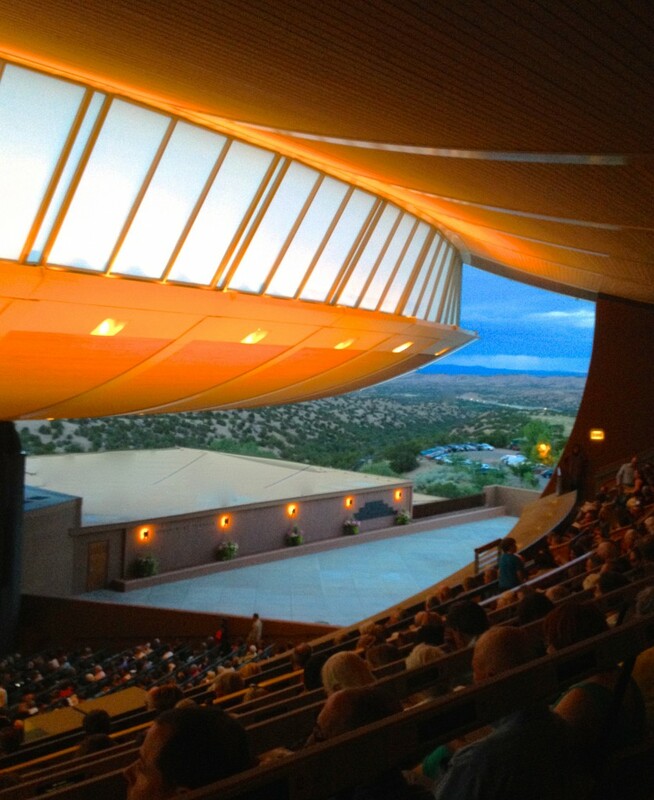 Starting in the 2005 – 2006 Season, the editors of Opera News have selected five important artists each year to be honored with Opera News Awards. Joining such prestigious honorees from previous seasons as Martina Arroyo, Marilyn Horne, Christa Ludwig, Leontyne Price, Renata Scotto, Dame Kiri Te Kanawa, and Shirley Verrett, the recipients of 2015’s Tenth Annual Opera News Awards are an illustrious quintet whose accomplishments at the Metropolitan Opera span five decades. 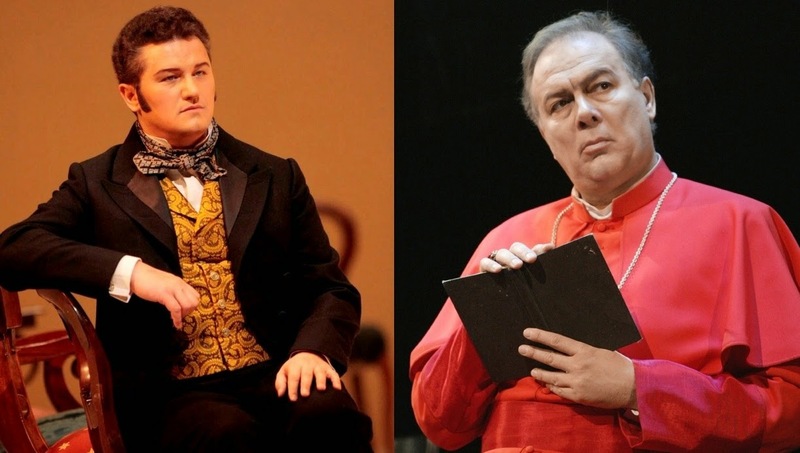 Since his 2006 MET début as the Duca di Mantova in Rigoletto, Polish tenor Piotr Beczała has thrilled New York audiences with his performances of rôles as diverse as Edgardo in Donizetti’s Lucia di Lammermoor, Gounod’s Faust and Roméo, Chevalier des Grieux in Massenet’s Manon, Rodolfo in Puccini’s La bohème, and the Prince in Dvořák’s Rusalka. Possessing a natural lyric instrument of superb quality, Mr. Beczała has in recent seasons expanded his repertory to include darker, heavier rôles that suit his passionate dramatic temperament. A Belmonte in Die Entführung aus dem Serail recorded early in his career confirms the legitimacy of Mr. Beczała’s credentials as a Mozartean in the class of Haefliger and Wunderlich, a facet of his artistry not yet explored in New York. MET audiences have also thus far been denied the opportunity to hear his bold, impetuous, but lovingly-phrased Alfredo in Verdi’s La traviata, acclaimed in London, Munich, and Vienna. Mr. Beczała’s greatest triumph at the MET to date was his charismatically caddish Duca di Mantova in Michael Mayer’s much-discussed 2013 production of Rigoletto. Transported to the decadent atmosphere of Las Vegas in 1960, rather than presiding over a hoard of courtiers this Duca is the headlining act in a glitzy, slightly seedy lounge on the Strip. A tenor without imagination might have made of his part in this production a schmaltzy Dean Martin caricature, but Mr. Beczała brought to his performances the swagger of a genuine member of the Rat Pack, not a conventionally operatic imitation. With Count Vaudémont in Tchaikovsky’s Iolanta and Riccardo in Verdi’s Un ballo in maschera on his MET schedule and Massenet’s Werther at the 2015 Salzburger Festspiele in his diary, Mr. Beczała continues to follow his artistic curiosity along new paths. With careful management of his prodigious vocal resources and technical acumen, he has at his disposal every gift needed to take audiences on fascinating musical journeys for years to come. The 1980 MET début of Italian bass Ferruccio Furlanetto as the Grand Inquisitor in Verdi's Don Carlo introduced to the company’s roster one of the hardest-working singers in the industry—and, more importantly, one of the finest voices in the world. Despite an illustrious career in many of the most daunting rôles in the bass repertory, it is only during the past decade that Mr. Furlanetto has received the worldwide recognition his talents merit. 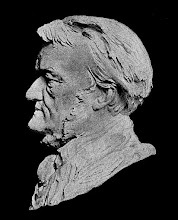 In addition to joining Éva Marton and Plácido Domingo as Alvise in a revival of Ponchielli’s La Gioconda that retains a special place in MET lore, Mr. Furlanetto’s velvety bass has been heard at Lincoln Center as Mozart’s Don Giovanni and Leporello, sometimes partnering Samuel Ramey; Rossini’s Don Basilio in Il barbiere di Siviglia and Mustafà in L’italiana in Algeri; Méphistophélès in Gounod's Faust; Cardinal de Brogni in Halévy’s La Juive; and Colline in Puccini’s La bohème. It was with music by Verdi that his tenure at the MET began, however, and it is as Giovanni da Procida in I vespri siciliani, Sparafucile in Rigoletto, Fiesco in Simon Boccanegra, and Don Ruy Gomez de Silva in Ernani that Mr. Furlanetto has carved for himself a prominent place in MET history. 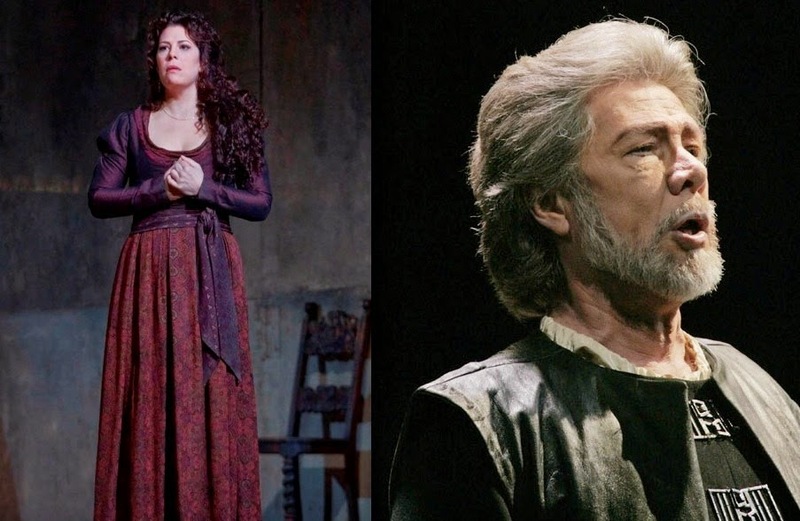 In 2007, Fred Cohn wrote in the pages of Opera News of Mr. Furlanetto’s Fiesco in Simon Boccanegra that ‘his great oaken bass in itself would have guaranteed him a success. But this was only a starting point for a portrayal of extraordinary fervor.’ Indeed, few singers in the world today can combine vocal solidity with poetic vivacity as meaningfully as Mr. Furlanetto. The term ‘veteran’ is often used with a pejorative slant, but Mr. Furlanetto is a MET veteran in the best sense of the word: his artistry tested by a career stretching back thirty-five years, he has emerged as one of the finest practitioners of bass singing in the storied MET annals. During a recent long drive, I listened to a 2013 MET broadcast of my favorite opera, Bellini’s Norma, featuring American soprano Sondra Radvanovsky. One never listens to a performance of Norma dating from a time after the retirement of Dame Joan Sutherland without a measure of trepidation, but Ms. Radvanovsky’s singing transformed fears into cheers. Hers is not yet a Norma for the ages, but her respect for Bellini and the gargantuan difficulties of his music is audible in every note of her performance. In many ways, Ms. Radvanovsky’s career at the MET harkens back to those of some of the great singers of the past. Like Lucine Amara before her, the soprano’s earliest seasons with the company enabled her to cut her histrionic teeth in supporting rôles before proving her exceptional value to the company in performances as Antonia and Stella in Offenbach’s Les contes d’Hoffmann in February 1998. A year later, her first Leonoras in Il trovatore began an association with Verdi repertory that has extended to indelible depictions of Violetta in La traviata, Luisa Miller, Elena in I vespri siciliani, Elisabetta in Don Carlo, Elvira in Ernani, Lina in Stiffelio, Aida, and Amelia in Un ballo in maschera. The breadth of Ms. Radvanovsky’s MET repertory, which also includes much-lauded outings as Donna Anna in Mozart’s Don Giovanni, Rosalinde in Strauß’s Die Fledermaus, Puccini’s Musetta in La bohème and Tosca, and Roxane in Alfano’s Cyrano de Bergerac, brings to mind recollections of the MET career of Gilda Cruz-Romo: it is to be hoped that, in time, Ms. Radvanovsky will follow her Mexican forebear’s lead in singing Leonora in La forza del destino, Cio-Cio San, and Suor Angelica at the MET, as well. Building upon the foundation of her Norma, an enlargement of her bel canto cache in New York seems particularly justified. Recent performances of Anna Bolena in Chicago have been some of the most exalted triumphs of her career—and, judging from her singing in the 7 December broadcast performance, rightly so. Even with so many successes to her credit, Ms. Radvanovsky is a singer who promises still greater things and the rare Verdi soprano whose singing is truly worthy of the MET. The 1984 MET début of Kansas-born bass Samuel Ramey as Argante in the company première of Georg Friedrich Händel’s Rinaldo was an unlikely but unforgettable start to a brilliant singer’s relationship with the house that would become a home base in his career. Though he had been heard on the MET stage in a National Council Auditions Finals concert in 1972 and a Gala of Stars telecast in 1980, these performances can hardly have suggested the typhoon that would engulf the house when Mr. Ramey’s volleys of coloratura and rafter-shaking volume were unleashed in Argante’s music. From such a beginning, he built a career focused on bringing to a large repertory the basic tenets of bel canto that served him so well in Händel. His Rossini parts—Assur in Semiramide, Don Basilio in Il barbiere di Siviglia, and Mustafà in L’italiana in Algeri—benefited from his astonishing bravura technique, and he infused his singing of Méphistophélès in Gounod’s Faust with a welcome dose of true basso cantante elegance. His was a Don Giovanni for whom lechery was a bewitchingly dangerous weapon, however: the sardonic edge of his wooing left no confusion about why the French refer to the sensual climax as ‘la petite mort.’ His slyly charming impersonation of Bartók’s Bluebeard was chillingly memorable even alongside a wife as commanding as Jessye Norman. Like Mr. Furlanetto and Ms. Radvanovsky, however, it is in Verdi repertory that Mr. Ramey has proved invaluable to the MET. His handsomely cavernous voice was both haunted and haunting as Banco in Macbeth, and his Filippo in Don Carlo writhed with the pain of a man who, despite having the world at his feet, was desperate to be loved. When Mr. Ramey was the Grand Inquisitor to Mr. Furlanetto’s Filippo in 2002, there was in the ferocious old man’s encounters with the tormented monarch an element of shared understanding that enhanced the psychological intensity of the characters’ interplay, and their rapport also shone in their sparring as Don Giovanni and Leporello. His Zaccaria in Nabucco, Pagano in I Lombardi alla prima crociata, Giovanna da Procida in I vespri siciliani, and Padre Guardiano in La forza del destino, and Leone in Attila all possessed the complete acquaintance with Verdian style missing from so many performances in recent years. Complementing his mastery of the Verdi canon, Mr. Ramey splendidly impersonated characters in operas either less familiar at the MET or receiving their company premières: Field Marshal Kutuzov in Prokofiev’s War and Peace, Nick Shadow in Stravinsky’s The Rake’s Progress, and the delightfully reptilian Reverend Olin Blitch in Floyd’s Susannah. His performances of the title rôles in Mussorgsky’s Boris Godunov and Boito’s Mefistofele crackled with regal authority and sadistic glee. With so many phenomenal performances to his credit, it seems greedy to regret omissions, but it is particularly lamentable that Mr. Ramey’s standard-setting traversal of the titular Hun in Verdi’s Attila was never allowed to lay siege to the MET stage. Reviewing a 1991 performance of Mozart’s Le nozze di Figaro in which Mr. Ramey reprised his Figaro, wonderfully recorded with Sir Georg Solti for DECCA, John Rockwell wrote in the New York Times that the singer was ‘a willing actor with a gorgeously-produced high bass.’ Even we critics sometimes hit the proverbial nail on the head, though this critic would argue that, at his best, Mr. Ramey was far more than merely a ‘willing’ actor. His singing has been a tremendous asset to the MET for three decades and an inestimably important example to young American singers contemplating careers in opera. Without question, Canadian soprano Teresa Stratas is one of the greatest artists ever to have graced the operatic stage. It seems impossible that fifty-five years have passed since Ms. Stratas’s singular voice was first heard at the Metropolitan Opera in the Regional Auditions National Finals concert on 20 March 1959, singing the title character's 'Sola, perduta, abbandonata' from Puccini's Manon Lescaut. Her formal début occurred six months later, when she sang Poussette in Massenet's setting of Abbé Prévost's tragic saga of Manon. 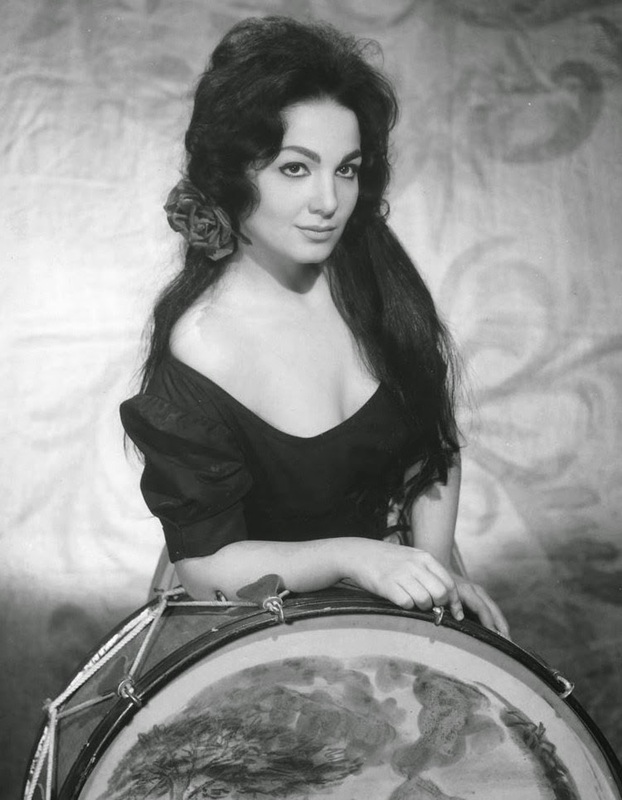 She sang an array of secondary rôles with the company until the performance of Bizet's Carmen on 15 November 1960, in which the legendary Jane Rhodes joined the MET roster as the gypsy heroine and Ms. Stratas advanced to the part of Micaëla. Paul Henry Lang wrote in the Herald Tribune of her performance that 'she deported herself like a veteran though she is at the very beginning of a very promising career.' During the early years of that promising career, she witnessed many of the most celebrated operatic creations of the Twentieth Century: Farrell's Alceste, Vinay's Parsifal, Nilsson's Turandot, the pairing of the débuting Leontyne Price and Franco Corelli in Il trovatore, Robert Merrill's Rigoletto, Borkh's Elektra, and Siepi's Don Giovanni. She was only twenty-three when, in 1962, she took her first leading rôle at the MET, Mimì in Puccini's La bohemè. Over the next three decades, she portrayed characters as dramatically and musically diverse as the Komponist in Richard Strauss's Ariadne auf Naxos, Sardula in Gian Carlo Menotti's The Last Savage, Mozart's Cherubino in Le nozze di Figaro, Zerlina in Don Giovanni, and Despina in Così fan tutte, Lisa in Tchaikovsky's Pikovaya dama, Offenbach's Périchole, Marguerite in Gounod's Faust, Humperdinck's Gretel, Desdemona in Verdi's Otello, Debussy's Mélisande, Mařenka in Smetana's Prodaná nevĕsta, and Nedda in Leoncavallo’s Pagliacci, as well as Puccini's Mimì, Cio-Cio San, Liù, and the three heroines in Il trittico. Every new portrait that she created on the MET stage was memorable, but among scores of exciting performances Ms. Stratas offered audiences characterizations of a quartet of troubled heroines that validated her reputation as one of the most accomplished singing actresses of her generation: Jenny in Kurt Weill's Rise and Fall of the City of Mahagonny, Berg's Lulu, Marie Antoinette in John Corigliano's The Ghosts of Versailles, and Madame Lidoine in Poulenc's Dialogues des Carmélites. To these ladies—and, indeed, all of the parts that she sang—she brought unstinting dramatic commitment and a voice with which she seemed able to do anything that she wanted. Not every risk was well-advised, and not every gamble paid off, but Ms. Stratas is an artist whose performances gave opera stirring injections of grit and glamor. The recipients of the Tenth Annual Opera News Awards will be honored at a gala at New York’s Plaza Hotel on 19 April 2015, during which they will be serenaded by renowned mezzo-soprano and MET star Stephanie Blythe. For ticket information, please visit the Opera News website or phone 212.769.7009. Sincerest congratulations to each of these terrific artists and to Opera News for seventy-eight years of articles and features that go far beyond merely reporting the news about opera.